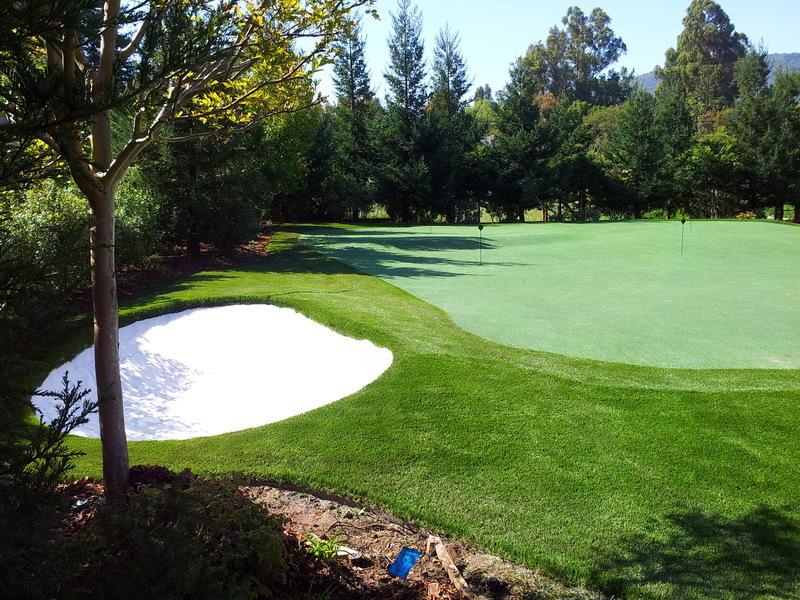 The Tour Greens' Short Game Green represents the evolution of the synthetic golf green. It truly brings the look and feel of a PGA golf course to your backyard, practice facility or resort. 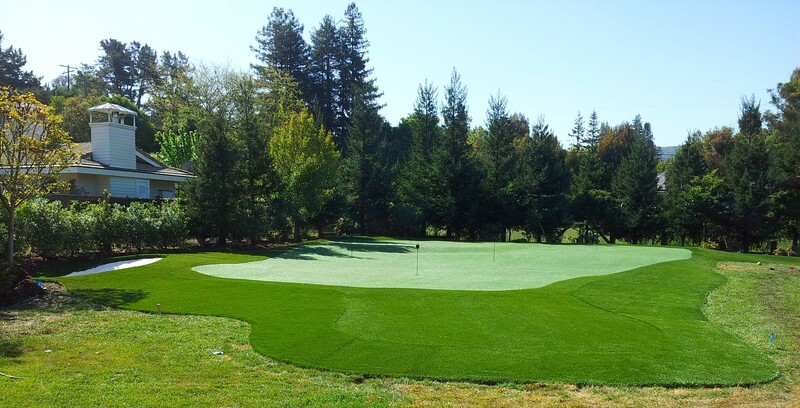 With the performance of a natural bent grass putting surface, Tour Greens Short Game Greens provide the golfer with the ability to improve every aspect of his/her short game with minimum maintenance and maximum convenience. Unlike most artificial surfaces, a Tour Greens putting green will actually hold a shot, just like a natural grass green! When chipping onto the green, the ball will check up. With backspin, you can even make a ball stop or back up. It’s amazing…watch the video to see for yourself. But the most unbelievable thing about a Tour Greens putting green from Tour Greens is the way a ball rolls on it, and this you simply have to see to believe. The ball will roll true and at an even pace, at fast or slow stimp speeds…typically varying from 9-12 on the stimpmeter. Optimal performance requires brushing, top dressing, and rolling the green 2-3 times per year. As your local dealer, onelawn® provides ongoing service and maintenance plans to keep your green performing optimally.